The link to the sign-up page, in case you can’t see the image above: take me to the sign-up page. After you’ve entered your name and email you will receive an email that asks you to confirm. 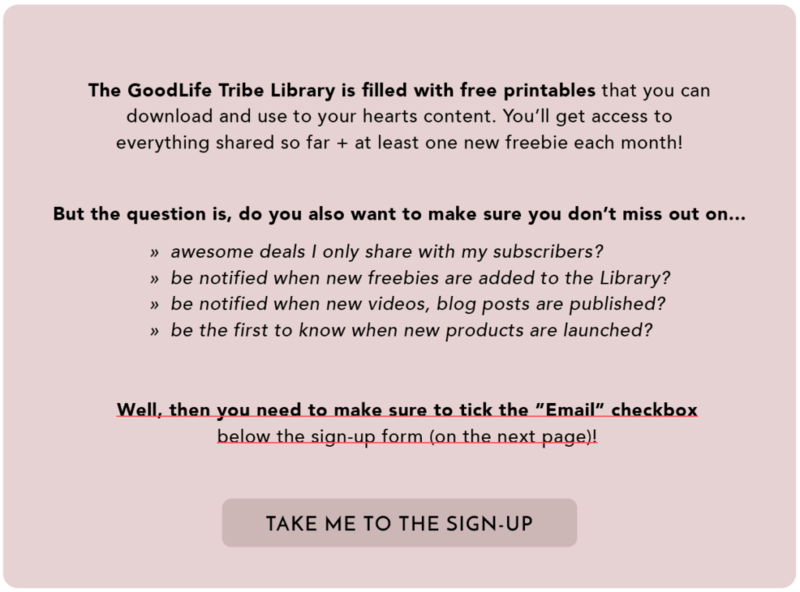 After you’ve confirmed you’ll get another email that includes a link + password to the Good Life Tribe Library. Easy peasy.